The sense of community a local yarn shop can build is powerful. 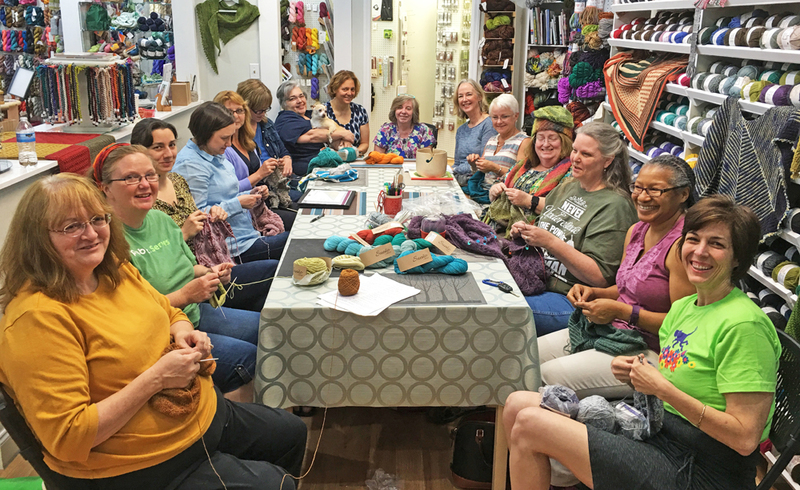 There is something very comfortable about sitting around with fellow knitters and fiber enthusiasts – talking, laughing, creating, helping one another, and having fun. The fiber-based friendships that form at yarn shops truly cannot be replicated elsewhere. 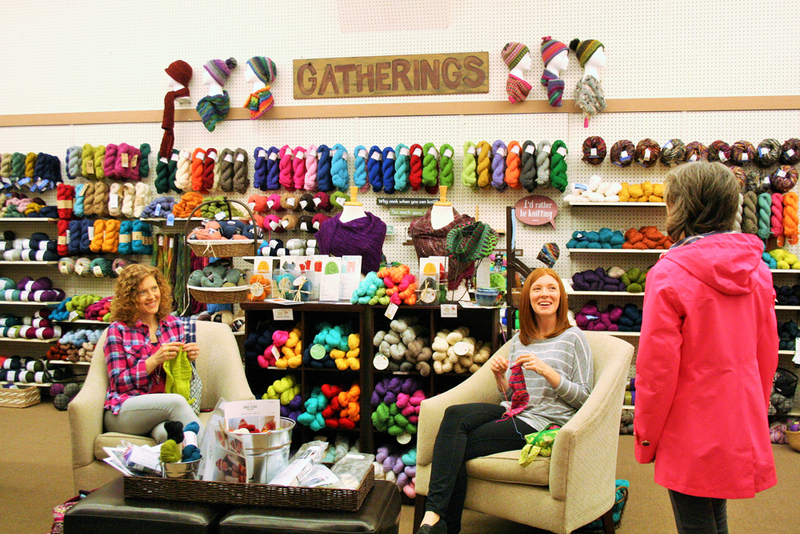 Knit nights are fun and very popular at Fiber Artwork in Huntsville, Alabama. In the world today, technology is progressing at a faster pace than ever before, creating enhanced experiences online. We now watch how-to videos on our laptops, we shop from bed at midnight on our tablets, and we have apps on our phones that tell us how many stitches to cast on. While more and more parts of our lives now involve technology, it only makes sense that fiber enthusiasts would engage in more and more fiber experiences and transactions online. As a result, the number of online yarn suppliers continues to grow, and more and more websites are competing for your business. The easiest way for most sites to compete is by discounting, not by providing extra services. This has created a culture where many people feel cheated if they find they paid more in a store than someone else paid online for the same product. Taking classes is a great way to learn new skills while supporting your LYS. 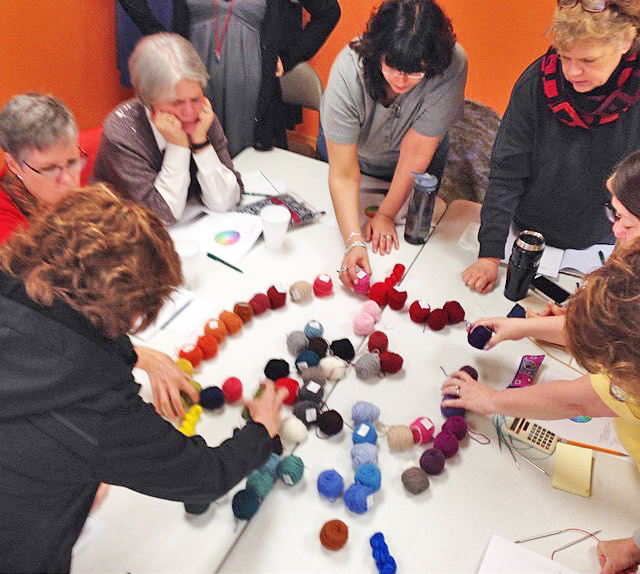 These students are leaning about color in a class at Mosaic Yarn Studio in Mount Prospect, Illinois. So should you shop at your local yarn shop or should you shop online? Here are some things to keep in mind when deciding where to shop. We want to keep local yarn shops in business! We don’t want them to disappear like many local book stores have. The only way to keep the doors of your local yarn shop open is to support them! This is done not by simply visiting them, but by purchasing yarns, needles, notions, classes, and other products from them. So if you see a yarn you like in a shop – buy it! That shop has invested in bringing that yarn into their shop so you can physically see and touch it. If you want them to continue bringing in new yarns and products, buy locally. Do you regularly attend knit nights at your favorite yarn shop or do you go to your local shop for pattern help and/or color advice? If you do, then support them so they will be there to support you when you need it. 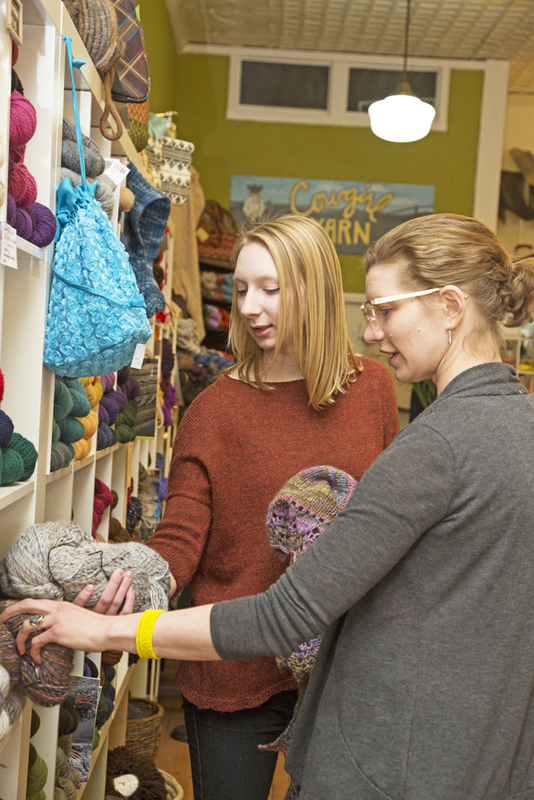 Yarn shop employees, like those at Cowgirl Yarns in Laramie, Wyoming, are a great resource when deciding on the perfect yarn and/or color(s) for a project. At the same time, we want to keep our online options available, as many Americans do not have the luxury of living in close proximity to a fine fiber arts shop. The internet gives many people the opportunity to purchase the same fabulous yarns, tools and patterns that are available locally to others. Without online shops, a lot of fiber enthusiasts would be left with nothing more than a few options available at a big box crafting chain store. So if your favorite internet shop sends you an email featuring a great new product that interests you, buy it! Online shops invest in products as well, and their marketing campaigns take time and money. They are trying to earn your business, and if they succeed, it is a win for both of you. While the choice of where you spend your fiber dollars is ultimately up to you, remember to respect the retailer with whom you are doing business. If we all do this, we will be able to continue making friends at yarn shop knit nights, while still having the opportunity to shop online in bed at midnight. Most yarn shops welcome knitters to hang out, knit and socialize, as these ladies are at The Yarn Studio in Casey, Illinois.